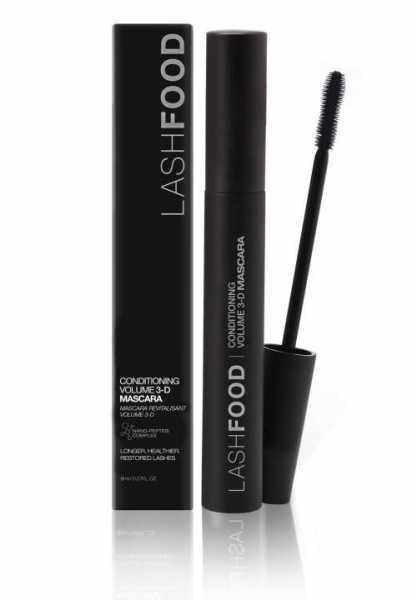 LashFood Conditioning Volume 3-D Mascara conditions and nourishes lashes with Nano-Peptide Complex which helps to strengthen and lengthen the look of lashes. Its uniquely designed S-shaped polymer brush curls and contours individual lashes for better lash definition. Each lash is coated perfectly with a silky shine formula that not only offers immediate volumizing effects, but also infuses lashes with a complex blend of natural ingredients which help transform the look of frail and brittle lashes to thicker, longer looking lashes. Semi-Waterproof. Smudge Proof. Flake Proof. Nano-Peptide ComplexRevolutionary, bioengineered peptide blend clinically demonstrated to provide healthier, restored looking lashes and brows. BiotinSupports natural hair rejuvenation. Copper ComplexEssential copper micro-nutrition. PanthenolStrengthens and thickens the appearance of lashes. ArginineAn essential amino acid which creates a barrier and helps protect against breakage and damage while maintaining moisture balance. 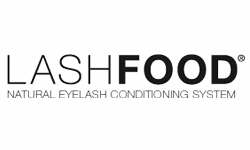 Weiterführende Links zu "LASHFOOD Conditioning Volume 3-D Mascara"
Kundenbewertungen für "LASHFOOD Conditioning Volume 3-D Mascara"